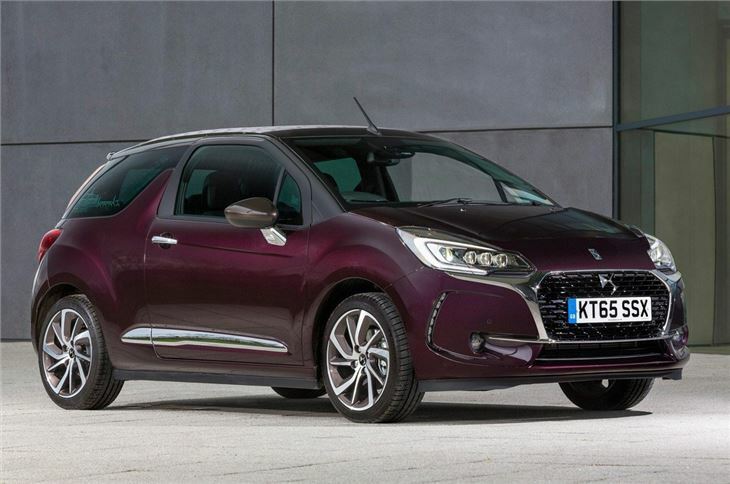 As enjoyable and as good to drive as the DS3 hatchback. Roof can be folded and unfolded at speeds up to 70mph. Small and inaccessible boot. Not quite a true cabriolet. Poor rear visibility with roof down. 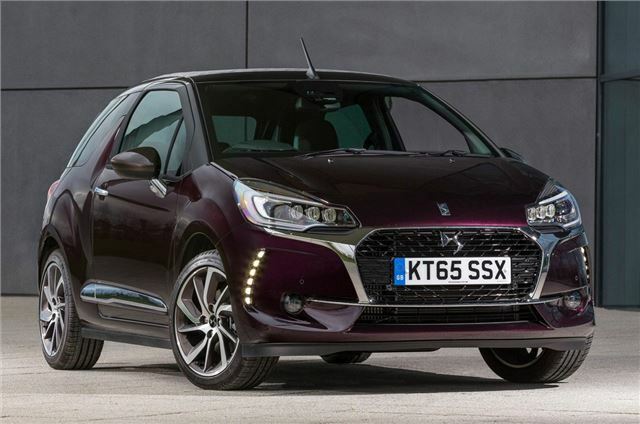 It was only a matter of time until Citroen followed Fiat and MINI by bringing out a cabriolet version of its popular hatchback. 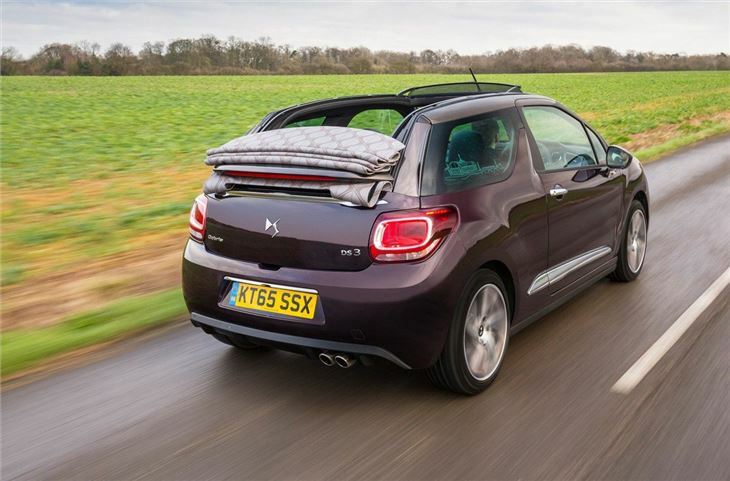 The DS3 Cabrio is, for the most part, a success. 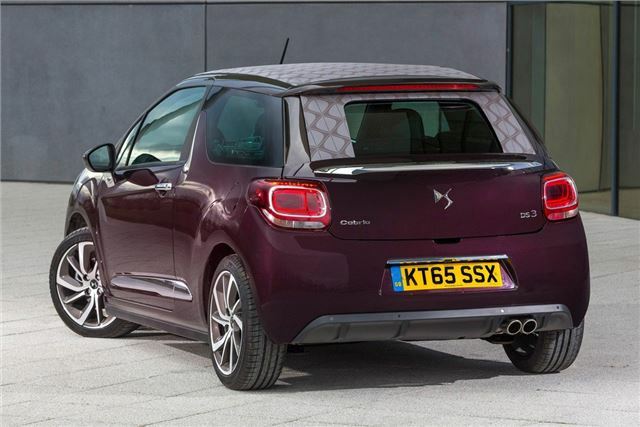 It retains the fun-to-drive personality of the DS3 and has the benefit of a folding fabric roof. However the top doesn’t fully retract like that of a MINI, instead it's more like canvas roof that retracts. Nonetheless, there is a lot to like. The roof, reminiscent of the ‘sardine-can’ affair on the old Citroen 2CV, can be folded up or down when on the go and works up to 70mph, plus there’s reasonable room in the back for children. In fact, even the boot is a good size, although it’s compromised by a tiny opening that’s also awkwardly shaped. 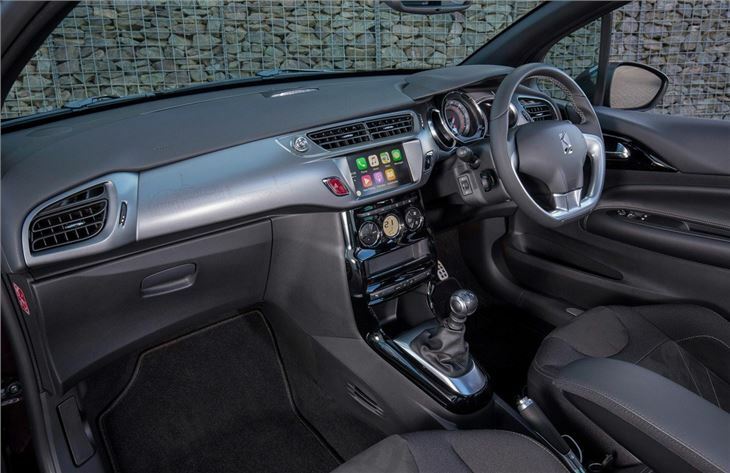 The engine range is much like that of the hatchback, kicking off with a sprightly 82PS 1.2-litre three-cylinder petrol and topped by a characterful 156PS turbocharged 1.6-litre petrol. There is also an e-HDi diesel which is cheap to run helped by CO2 of below 100g/km, which means zero tax. Regardless of which engine you pick, you’ll get a fun car. The conversion from hard top to cabriolet hasn’t affected the nimble and agile handling of the DS3. 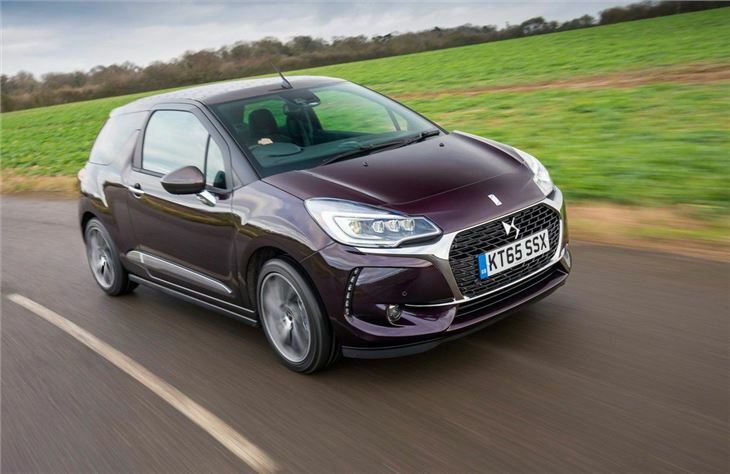 The steering has good feel and the suspension is well set-up so that the DS3 Cabriolet is enjoyable over a twisting road. 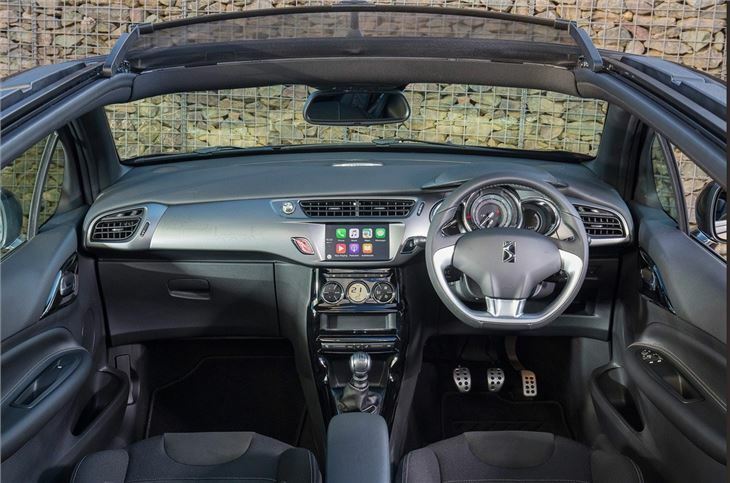 Plus of course you get the added element of the open top making it feel that bit more special than a standard DS3.